Review: Hair came in a good amount of time. Have yet to install it but it's real soft and looking forward to dying and installing it! Review: Love the hair. Ordered on Sunday and received it on Friday. Very soft. Review: Beauuuutifulll hair! So soft! Review: My bundles are full from top to bottom and thick! She's been in contact with me from the time shipped out until delivered.. Definitely will be buying again! Review: Excellent and perfect product, i apreciate it dearly, i look forward for more transactions. Review: I love the hair. It was so soft and has beutiful straight! I cut the hair into a bob and bleached and colored the ends of the hair. I bleached twice, NO DAMAGE! Still soft as ever. No unnecessary tangling and no need to brush all the time. Love the hair and FAST shipping. Review: Beautiful hair im soooo happy !!!! Thank you very much its beautiful ! Review: The hair is good, the only thing is a little smell,after i wash it,thats ok!hair is so soft,will buy soon. Review: Shipping was really fast, bought the hair on Monday and by Wednesday, it was here. The hair looks real, haven't installed it yet but will do a review after that,it has a little smell to it and the 16 and 18 inch bundle is light. 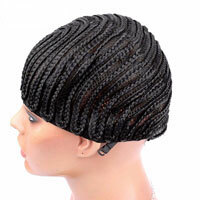 The tip of the hair is very thin but aside from that I like the transaction experience and great prduct. Review: best hair I've received so far! can't wait to install. Review: I love the hair it's soft, manageable and true to length. It's a great deal for bundles and does well with sew ins. Hair is packaged neatly and secure for protection. It has s fast arrival and vendor is very friendly!!! I recommend purchasing!!! Review: This is the fastest service and BEST hair I have purchased from wowlacewigs. I litterally received this my whole order in 3 days after it was shipped. I washed, installed and cut 2 bundles and a closure and I absolutely LOVE IT. Its soft, beautiful, and easy to curl with no shedding, and did not have a funny smell. I will definately order again. Thank you for your prompt service and Beautiful Hair!!! Review: Haven't installed but looks good! Review: I ordered the hair on Thursday and received on Monday. The hair feels great. Has no smell. The seller was wonderful and very helpful! I recommend! Can't wait to instal and post pictures. Review: Soft hair no shedding , I will start with a YouTube channel and a blog soon i will a second review soon. Order this hair lovies you wont regret it at all!!! Review: I love the hair so much thought I haven't used it yet. The communication with Megan was fantastic and delivery was even faster than expected. Thank you so much for the great products and fast delivery. I will definitely come back and surely recommend your product to my friends and families. Review: love love my hair its exactly what I wanted longer than I expected but I love it no problems with seller she replies in a timely manner overall a great experience!!! will post pics after install! Review: I leave a 4 star the hair over all is good did find a few colored strings in the weft all hair sheds so I deal with it but not a lot of shedding communication was great hair came really fast so GOOD!!!!! Review: Good quality, thank you for the gift. Review: Communication was very good, shipping very fast, order was as described but i am experiencing a bit of shedding. Review: made this order on the 17th and i received it already 20th thank you so much!the hair is nice,no tangle,very little shedding but that is ok! Review: hair is amazing I'll buy more soon ! Review: hair is great so far i will leave a picture of my hair installed once i do so! Review: I ordered my hair on a Saturday and I didn't get it until Wednesday. I'm use to getting my hair a lil faster. I installed the hair the same day and I love it! it curls really nice and the texture is so soft. I didn't like how the closure had a lot of lil hairs throughout the closure. The true test of the hair will be after I wash it and install it again. But as of now I am satisfied and impressed with my hair. Review: First time buyer & I absolutely love the hair it's so soft it doesn't have a weird smell to it either! It came within 2 working days & the seller was very helpful! Thank you very much for your help I will be buying from you again! Review: just received my hair today. the color is perfect. quality of the hair feels great, it is very soft and shimmery have not installed hair yet but haven't had any shedding or tangling. Review: Love the hair, happy customer! Review: very good quality. im soooooooo happy! Review: Love the hair and customer service defiantly going to buy more hair and recommend other customers. Review: I was really happy with my hair delivery came much earlier than expected. The quality of the hair feels good the bundles are full have not applied it yet but i am impressed so far and I got a free pair of fake eyelashes with them!! Review: Hair was nice and soft however there was no smell to it. Can't wait to install the hair! Review: Hair is very soft. Can't wait to install. Review: Always a great experience hair shopping with lyn! Quality hair at its best, I will return. Thanks lyn! Review: soft beautiful hair,fast delivery thanks so much for the gift. I will buy more from this seller! Review: I'm sooo happy I made the decision to order this hair!! The lengths were accurate, totally soft and no shedding. I got the 10 inch bundle . Definitely ordering from here again and the shipping was fast! Thank you!! Review: This hair is wonderful. Thanks so much. it is a great hair. 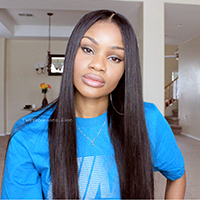 Review: I ordered 3 bundles of the Brazilian 10 inches with a free part closure. I love the texture of the Hair, it is very soft, easy to maintain. I just wish it was a little bit more fuller. Only used 1 and half bundle. Only experience some shedding once my hairstylist cut some of the back but overall it is a great hair. Will use the rest for another hairstyle with no cutting next time. Review: The hair is good but i haven't install yet,so i give 4 star. Review: In love with this hair. Very soft.!! Just installed it today. I bleached it prior to the installment.! No tangling, shedded a few strings, but all hair shed.!! I purchased a 20,22,24 and 18inch closure it's true to size actually the 24inch is long.!! Review: I JUST received my package and happy is what I am.. it came sooooo fast I ordered Saturday night and got it in 3days which is very fast shipping from here ,the hair has No Smell No shedding so far I will update again once I install it this weekend but the hair is true to lengths and they are very thick and pretty bundles thank you so much Megan!! Btw the communication was awesome she was so sweet !! I am sure gone but from you guys again! Review: I just received my hair & im in love. I haven't installed it yet but I'm sure I'm going to love it. SHIPPING WAS FAST! 3 days. Seller communication was great. Review: Love the hair! Came earlier than expected. Feels so soft. The wefts were thick and full of hair. Also Megan helped so much! Review: The vendor effectively communicated the status of my hair delivery. I received my shipment very quickly, and I didn't have a fishy smell to my hair. I like my hair. Thank you! Review: nice hair, soft and no smell. Review: The bundles were as think as i wouldve liked. But i have installed one bundle on an already made wig for fuller volume and I'll come back in a month to give an update but it does a very very little of shed.will be buy soon. Review: Shipping took forever, communication was a little slow. Hair is nice, but i haven't installed it yet. Review: The hair is beautiful soft to touch fast delivery will definitely be back excellent thank you. Review: I give this hair 4 stars because i didnt install it yet the hair is thick it was soft it had a little smell but after i co washed it the hair smell went away i will be a second buyer i really happy with the hair && its true to length. Review: OMG Excellent seller, in fact the best seller ever!!!!! the hair was 100x better than i expected, my hair dresser even said that the quality was one of the best she has ever seen. i received my hair within 3 days. the hair was a lot really full. i love it. i will forever buy my hair from you and recommend you to friends and family. Review: The hair does not shed at all! The hair came quickly but it felt like forever! Lol I will most definitely do business again with this manufacturer. Review: Great hair and great company. Review: Very timely delivery. The hair is nice but has a distinct odor to it. Packaged very nicely. ..
Review: The hair is absolutely beautiful! It's so soft & silky. I ran my hands through it multiple times and only one strand of hair came out so pretty much no shredding. I received the hair in 3 days too. As far as a smell, it only smells like plastic because of the packaging but nothing unbearable. Only two things I will say are the bundles are a bit thin considering I got 20, 22, & 24 in. So you might need 4 or 5 bundles depending on how long you get. & lastly where I circled red, the hairs are short at the weft. Seems like it was cut. But nothing extreme. Still beautiful hair! Will order for sure next time. Review: This is my first time giving my feedback on items purchased. Believe me this is real human hair and I am so happy with my orders. I will be ordering more with this vendor. I wanted to get their closure also but it is bit expensive. I will consider buying it if I can get a discount. Review: This hair is amazing! I've ordered this hair multiple times & it's always beautiful! It doesn't shed, it takes color extremely well and I can use this hair over and over! It seems like it gets thicker with every wash!! Fast shipment, this hair is incredible!!! Review: As always it's a pleasure ordering from this store. I only order from this. The hair is always thick a beautiful. Especially when you wash it. It becomes fuller and has a pretty wave. Will be ordering again soon. Review: Great hair! I will order again! Review: I have had so many bad hair experiences. I never had any communication with the seller which made me a little hesitant on when I would receive the hair. but once I did I loved it. It's so soft and slicky. I installed it yesterday and forgot to wrap it before bed. yet no tangerling no sheading. I LOVE IT AND WILL DEFINITELY BE BACK. I'm being 100 percent truthful when I tell you I am very happy. Review: The hair was great , seller has great customer service ! Hair was everything they described and I would definitely buy again :) . Review: great quality. got the hair in 3 days. Review: This hair is absolutely gorgeous!! I ordered it on Thursday and received it today on Monday and I'm completely satisfied. This was my first time ordering hair online and I had an amazing experience. The shipping was fast and the customer service was unbelievably helpful. The hair has no foul odor and no tangling or shedding upon running my hands through the hair. I am giving four stars for now because I haven't washed or installed the hair but it all goes well I will be back with a five star review. The hair is truly amazing and I will be recommending it to family and friends looking for affordable virgin hair! Review: Really satisfied with my order. Customer service was great. I spoke with Hunk and he was really helpful. Shipping took 3 days. I wanted to wait 30days to review this ends were kinda thin. But I did not experience any tangling. But I did notice some shedding. I m satisfied. Review: I love love love the hair. I haven't installed it yet but its a lot of hair and 3 bundles is a lot of the price of an 18". I got a quick response each time I had a question and I am going to buy again. I'm going to add more feed back after I use the hair. oh...I ordered on a Monday night and it got to me Thursday afternoon. very fast ! Review: excellent 2nd order 2nd review I will keep only ever buying my hair here. Review: Very pleased with this product and seller. 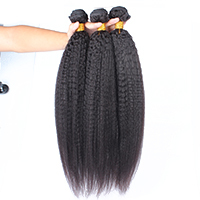 Hair/Bundles as described, communication with the seller was prompt, showed genuine interest in me being satisfied with the product and delivery was very speedy! I will definitely order from this seller again, I'm very happy indeed! Review: Great hair excellent shipping....This hair has no shedding and it has shine and body i would recommend this hair to anyone. Review: Amazing hair. Second time ordering from this seller. Excellent customer service. Hair holds up well to dying and processing. I bleached this hair 3 times to achieve a blonde color and it was still surprisingly soft. Will order from them all the time. Review: Great hair and shipping. I Love this hair and the vender . Review: If I could leave 10 stars I would! Everything is amazing! Seller was very nice and stayed in constant contact, and the hair came so very fast. It's really great hair, I LOVE IT! Will definitely buy again. Review: I Love This Hair I Got It In Three Days.I Cowashed It & The Hair Is Still Flawless.Will Be Buying Again. Review: Shipping was sooooo quick! I ordered mine on Labor Day(Monday) and got it Friday. It's so soft, no tangling and I'll be ordering again! Review: Top quality hair. The price is very good ! Amazing service, I will definitely buy from this seller again. Very impressed with the hair, can't wait to put it on next week. I will upload picture once I've installed it. 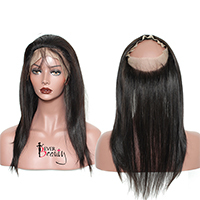 Review: Really human hair,shipping is so fast,shipping in us,high quality!wow! wow! !love love love this hair.